Rose Cottage Orchard is one of our tiniest project orchards and typical of the orchards belonging to small holders around the Gorsley area. Ross on Wye has a long history of small agricultural holdings, although today many have vanished. This little orchard is now surrounded by modern ‘bush’ orchards, removed after just 10 productive years so that there is little benefit to wildlife. The owners of this orchard were keen to bring it back to life and to share it on occasions with friends and neighbours. 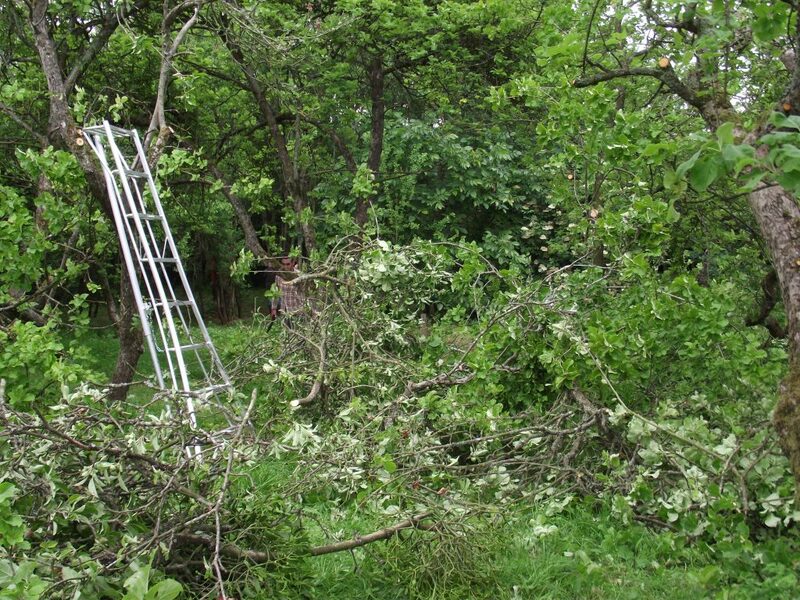 Gloucestershire Orchard Trust have helped them and our great volunteers to clear the orchard floor, prune the trees and thin out some of the damsons which make up the back of the plot. The space was heavily overgrown so this involved some drastic pruning ! 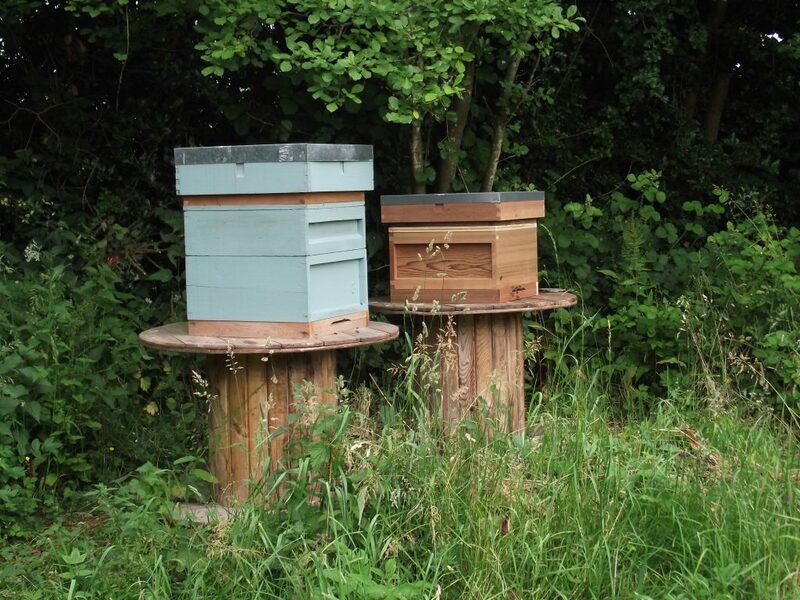 The introduction of bees has been a real success and in Spring the orchard is alive with their buzzing. And by working carefully no-one has been stung to date ! 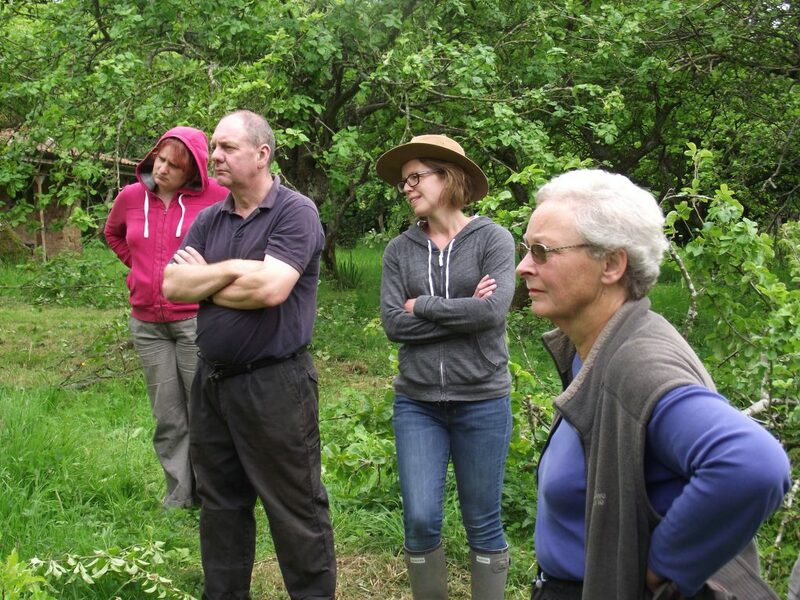 As with all of our orchards we have carried out a wildlife survey and a fruit I.D – most of the varieties found here are very typical of orchards of this age, the apples are good for keeping and storing for use at home and for taking to nearby markets. Worcester Pearmain, Scarlet Bramley, Annie Elizabeth and Newton Wonder make up most of the crop, together with a few Victoria Plums and damsons. The owners are keen to make space for a few of our rare local varieties, grown as part of TCTOP’s work in preserving our local fruit heritage, so although space is limited we have plans to do some new planting this year. 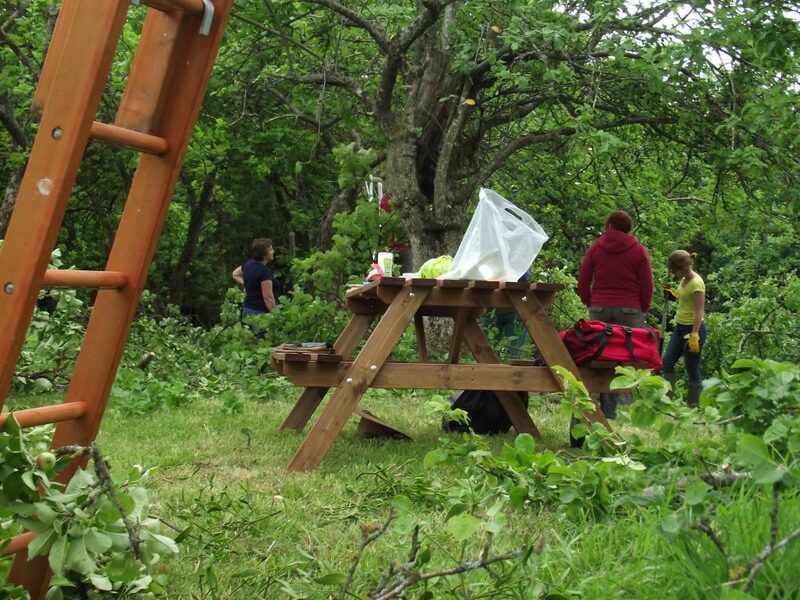 And the orchard is already being well used by the owners and their neighbours.